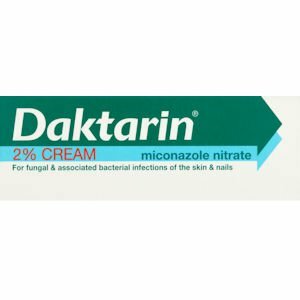 Daktarin cream contains a medicine called miconazole. 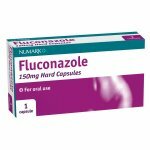 This belongs to a group of medicines called ‘antifungals'. Daktarin cream works by destroying the fungus and associated bacteria which may be present. Wash the infected skin and dry it well. As many skin conditions are infectious, you should keep a towel and a flannel for your own use so that you do not infect anyone else. 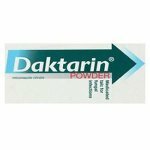 Apply Daktarin Cream to the affected area twice daily, eg at night and in the morning. Apply once or twice daily to the affected area. Rub Daktarin Cream gently into the affected area and surrounding skin with clean fingers. Unless the infected skin is on your hands, wash your hands carefully to avoid spreading the infection to other parts of the body or to other people. Similarly, clothing which comes into contact with the infected areas should be washed and changed frequently. Daktarin Cream is non-greasy and should not stain clothes. 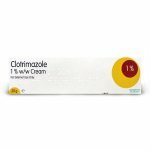 Relief from the symptoms may occur quickly but it is important that you continue to use Daktarin Cream for up to 10 days after the symptoms have cleared to prevent them from coming back. 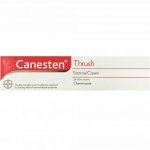 If you forget to use your cream, do not apply the missed dose, but apply the next dose as usual and continue your course of medicine. The cream is for application to the skin and nails only. If you are pregnant, planning to become pregnant or breast feeding, you should talk to your doctor who will decide if you can use Daktarin Cream. 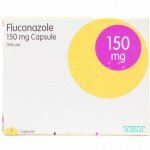 If you are taking certain medicines that are used to slow down blood clotting, contact your doctor who may wish to check they are working correctly. 2%w/w (20 mg per gram) of miconazole nitrate, water, macrogol stearate and glycol stearate, unsaturated polyglycolysed glycerides, liquid paraffin, benzoic acid (E210) and butylated hydroxyanisole (E 320).